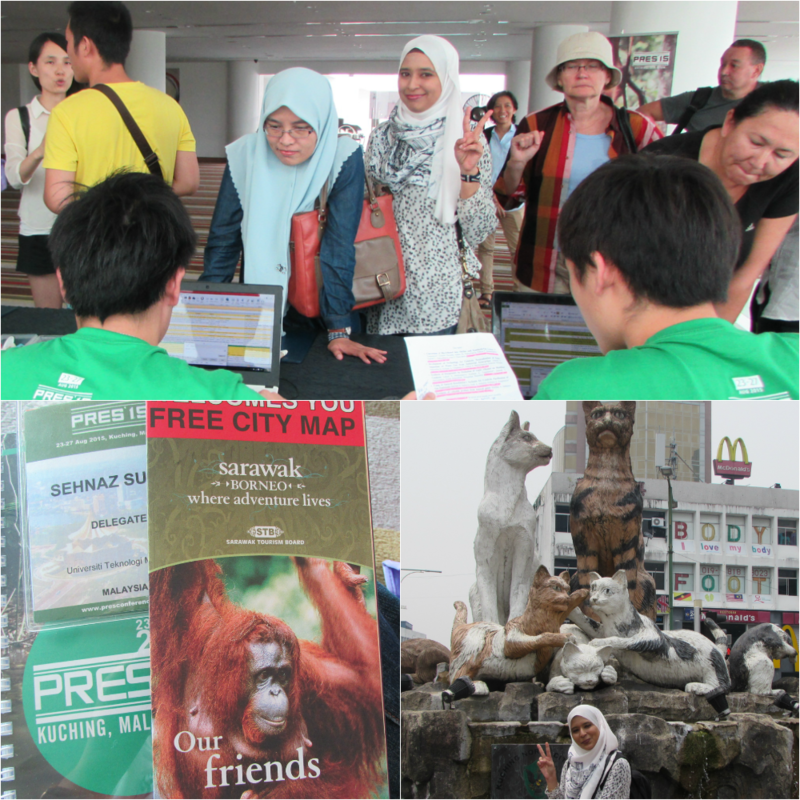 Remember my trip to Kuching last two years? Last time it was a free-and-easy weekend trip with hubs and our lil kiddo. 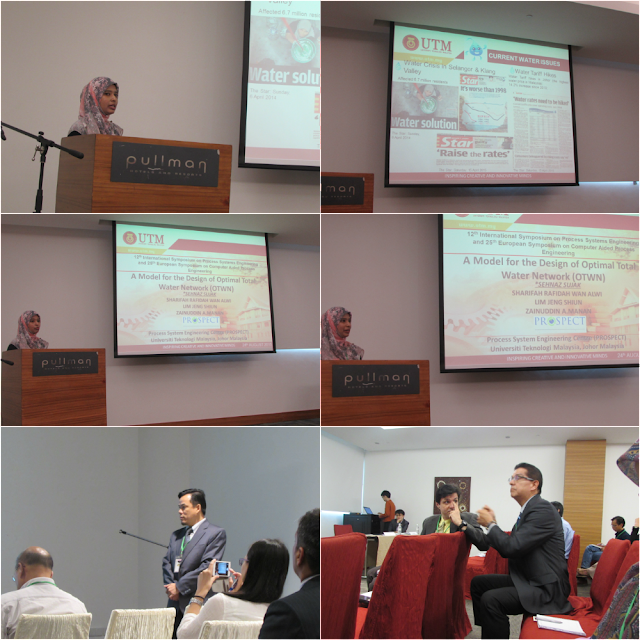 This time around I went to Kuching all alone for an international conference that usually held in Prague. The organiser decided to held the conference in Malaysia this year and it was really last minute confirmation (2 months before the conference), so I get super expensive air ticket the very last minute (and super expensive hotel too)! They wanted the 'regular' participants who joined this conference every year in Prague to get out from Europe and experience the 'Asian Forestry' and its weather. What laa,,Malaysia is experiencing haze right now. 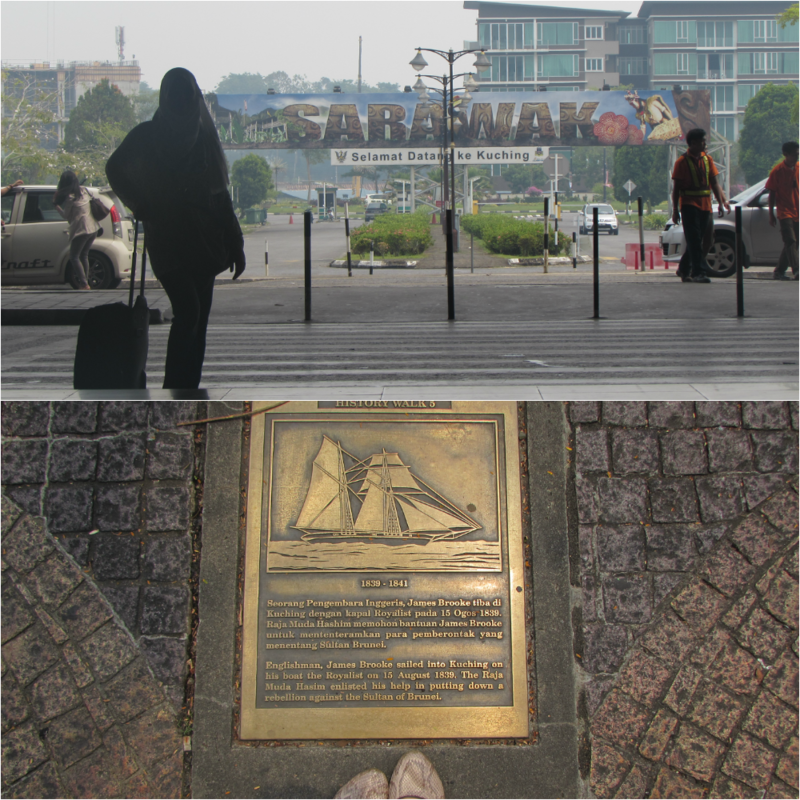 By the way, I was in Kuching for 5 days. I shared the hotel room with my post-grad mate, Suraya. My paper presentation were scheduled on the second day of the conference, so I have at least a night to revised my slide and speech. I waited for Sue at the airport and took the airport transfer together to our hotel. (Note for travellers: Airport transfer to-and-fro Hotels in Kch town cost about RM18/per person. Should you need a rented car, you can get the information at the airport counter. The last time I rented a BLM saga cost us about RM80/day). Since our flights were early in the morning so there's no chance for us to relax and sleep (of course!) in our hotel room, but we get permission from the hotel to leave our luggages until the check-in time at 2.00 p.m. Sue and I went for the conference registration at Pullman Hotel lobby and sightseeing at Kuching town right after. A-must-place-to-go-when-in-Kuching... Kedai Kek Lapis Dayang Salhah!. 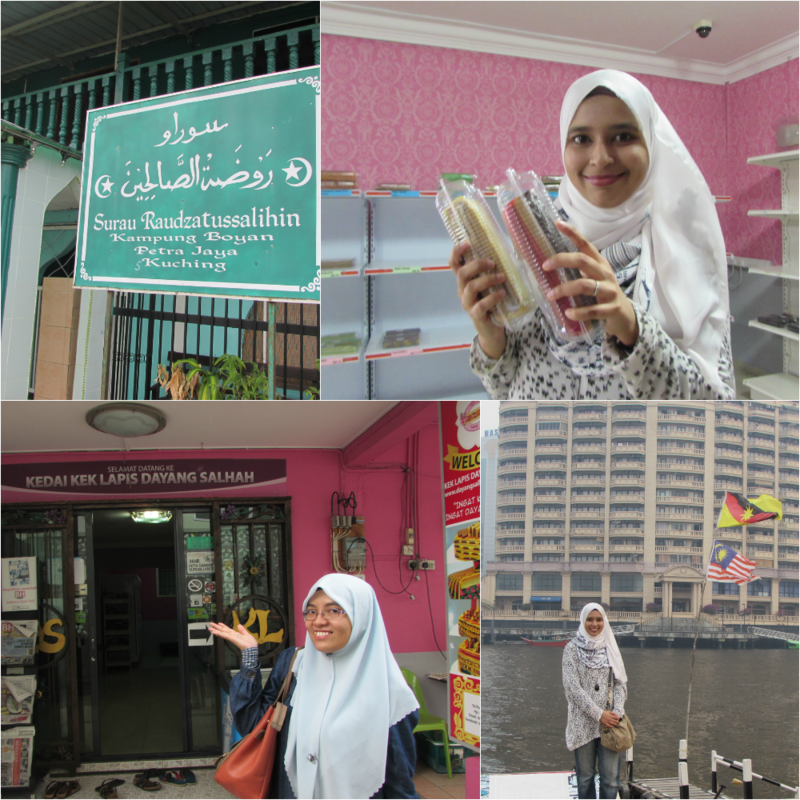 Since I've been here before, it's quite easy for us to go to Dayang Salhah. We took the boat from Kuching town to the nearby village across the river which costs us about RM1/person. We pre-ordered kek lapis to bring back home and Dayang Salhah will deliver our orders at the hotel on the last day of our stay in Kuching. So it will be all fresh and definitely tasty. The opening ceremony on the second day of the conference. 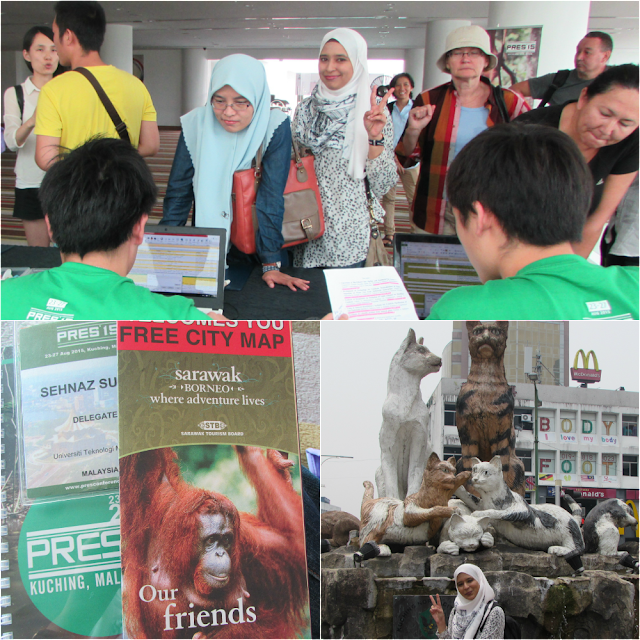 You see Orang Utan on the slide, I bet the Europeans in this event haven't seen them in real life. Well, so do I. The best thing about coming again to Kuching is that, me and my friends had our food journal and we enjoy every bits of it. This is kolok mee we had on the first day when we arrived in Kuching. The price is about RM5 per bowl. You can get Kolok Mee anywhere in Kuching but if you're looking for halal one, do find the halal sign at the business registration board of the restaurant. They said sometimes the Kolok Mee had this non-halal oil, so be careful guys. This is Nasi Ayam kukus we had at Rumah Hijau restaurant. This restaurant is quite famous in Kuching. 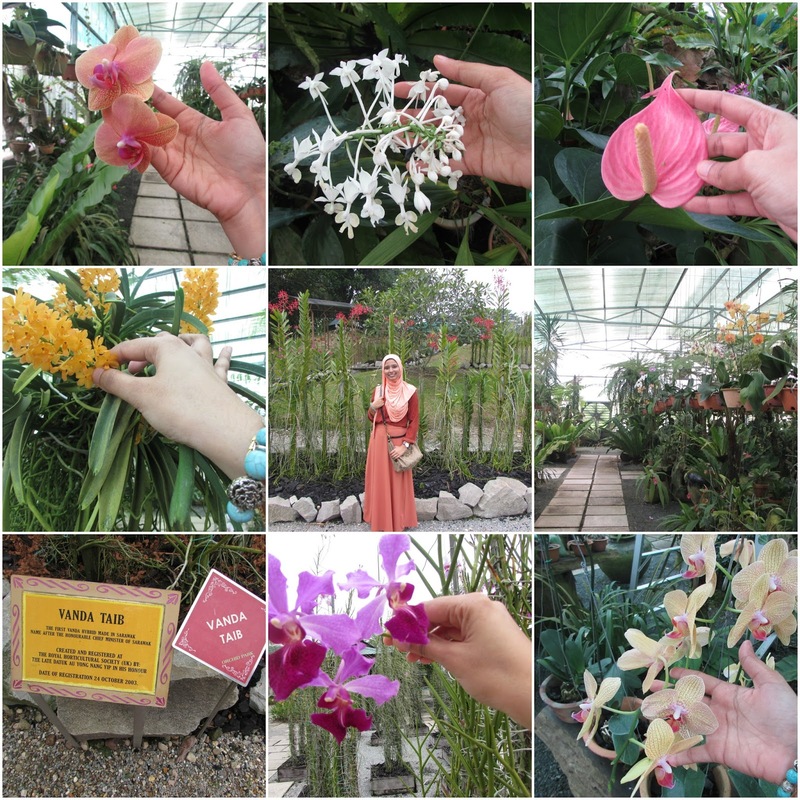 I met my undergrad coursemate, Wani and her family here. They migrated to Kuching 5 years ago. She now have two kids. You can find Rumah Hijau Cafe at Rubber Road, Kuching. 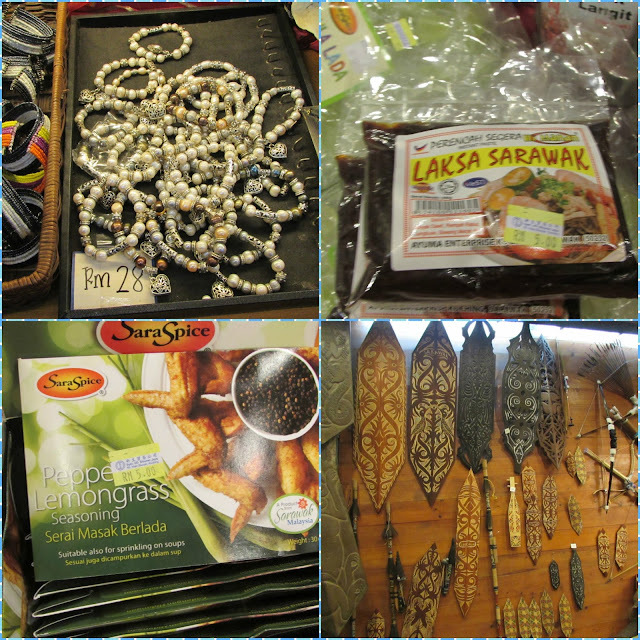 During my third day of our stay in Kuching, me and my friends went for souvenirs hunting at Kuching town. You can get everything from traditional crafts to spices to handmade jewelries. I bought few laksa sarawak paste for mom and mil. I also went to Semenggoh wildlife centre with Sue to see orang utan. 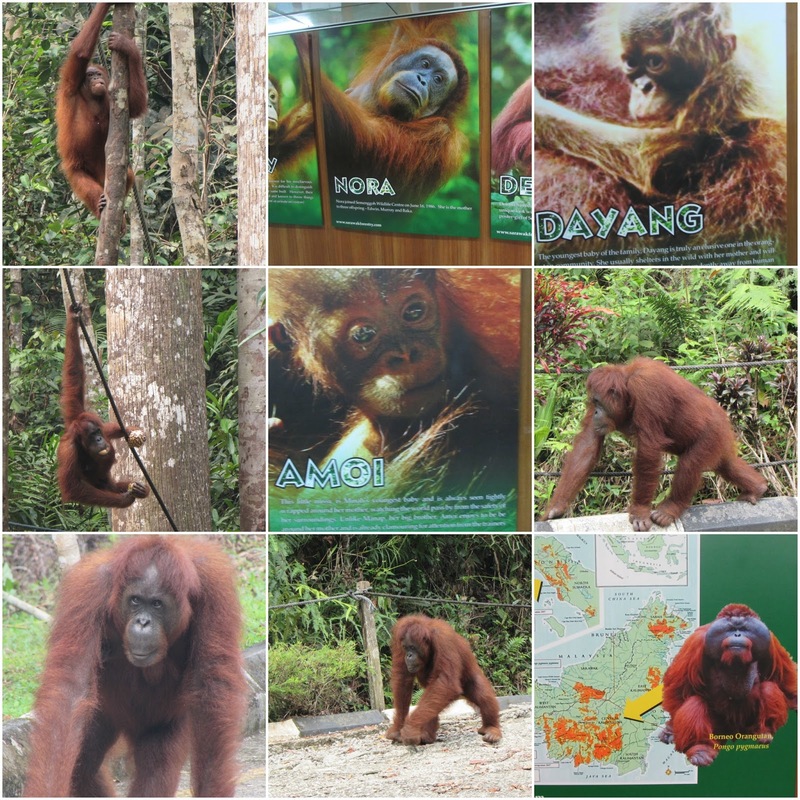 This is the first time of me seeing orang utan in real life and we were very lucky that orang utan came out from the forest that day. Note that the orang utan are wild animal and they can get very sensitive to human as they do not like the present of too many people around them. They might attack you so those who bring children need to take a distance from them and don't make any noise. Later that day, we went to botanical farm just opposite the Kuching town. You can get here via boat, crossing the Kuching river. This is my second visit since last time I came with hubs and Aulia'. The entrance fee is free. Nothing much, just flowers. I like flowers! 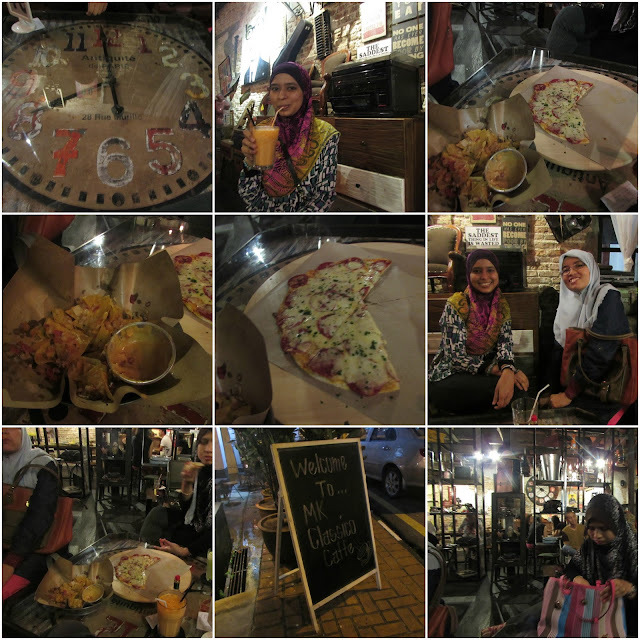 Then we continue our food journal during dinner where me and my colleague went to a place featured in Jalan-Jalan Cari Makan TV3; MK Classico Caffe. This cafe is located at Jalan Tabuan Kuching. The cafe is quite vintage and I can assure you the food we ordered was scrumptious! Do order their pizza as they generously added a lot of cheese make it even more tastier. The next day we had breakfast at Kopi O Corner at Jalan Satok, Kuching. This restaurant is also featured in Jalan-Jalan Cari Makan TV3. If you want a simple and delicious breakfast, you can order the three layer tea with prata roll. Trust me, it was marvelous! In the evening, after the conference session end, we decided to try the street food at Kuching town. 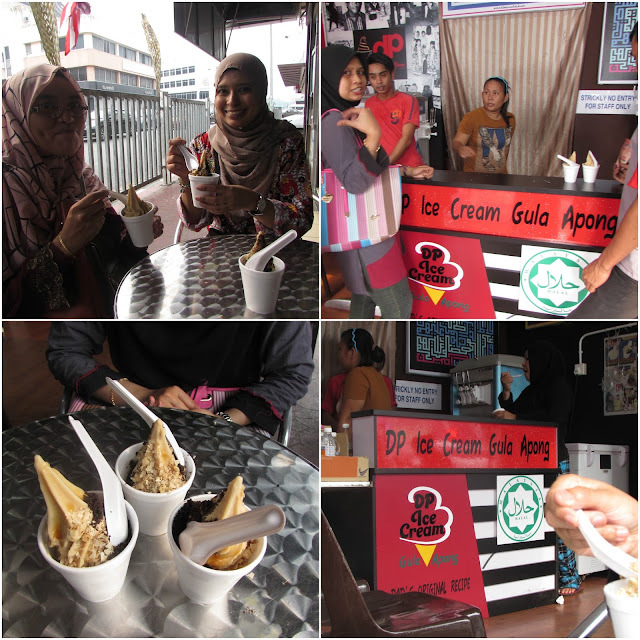 So we went to DP Ice cream Gula Apong at Jalan Chan Chin Ann, Kuching. This place was suggested by my friend Wani. The ice cream is unique because of the main ingredient which is the dark palm sugar. They offered few topping which is oreo chocolate, nestum and peanuts where you can choose either one with the price of RM2.00 per cup. Truly speaking, the ice cream was delish but I can only take one. You know, sugar makes me extra happy, and I don't want that to happen. After had the ice cream, we walk for few metres around the town and found a restaurant named Planet Sambal Restaurant. We googled the review and they said you can get the best laksa sarawak in town here. So I had my first ever laksa sarawak! yehee! Then it was time we had our poster presentation and closing ceremony at Pullman Hotel on the fifth day of our stay and my flight back to Kuala Lumpur was just right after lunch so I didn't have much time to eat at the hotel, and ya btw my Kek Lapis was delivered on time at the hotel, I can tell you the service was awesome!